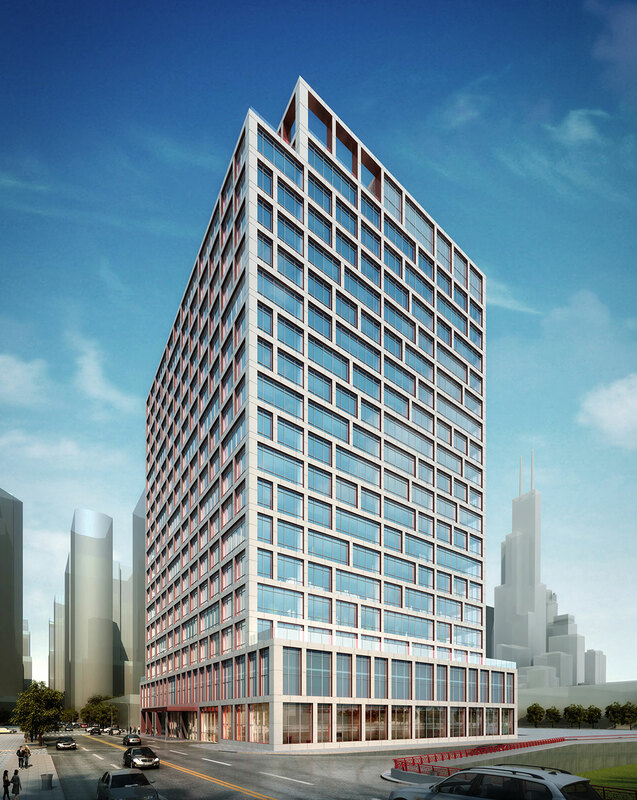 Ideally situated for its use as an office tower, 645 W. Madison is located between Chicago’s central business district—the Loop—and the West Loop, an emerging hub of business innovation and a popular destination for dining and nightlife. Bordered on the north by Madison Street, on the east by Desplaines Avenue and on the west by the Kennedy Expressway, the site is easily accessible via car, rail and bicycle. 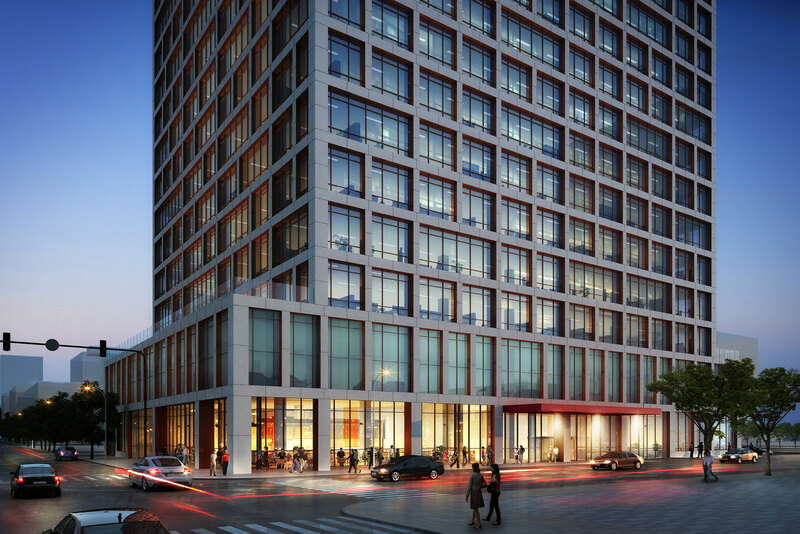 The 19-story building consists of 15 office and two parking levels above a ground level containing 6,500 square feet of retail. 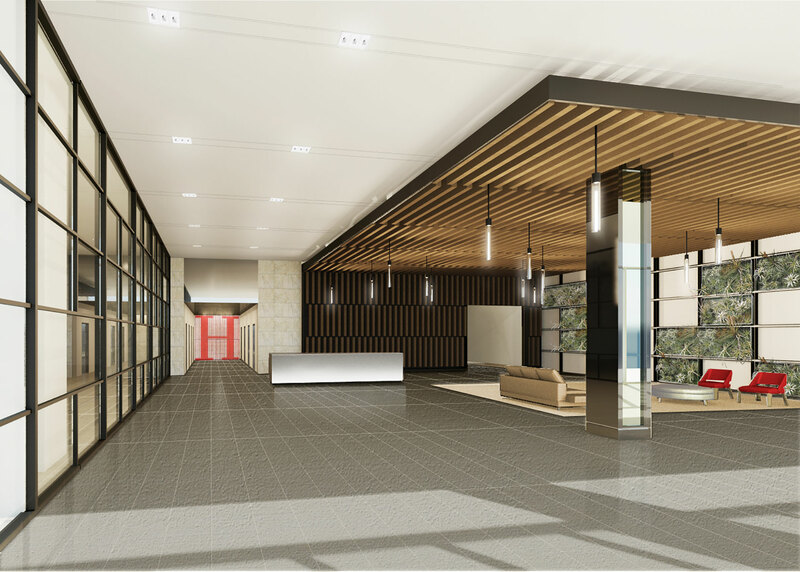 A generous office lobby and building support areas—including an extensive bicycle facility—provide useful amenities. 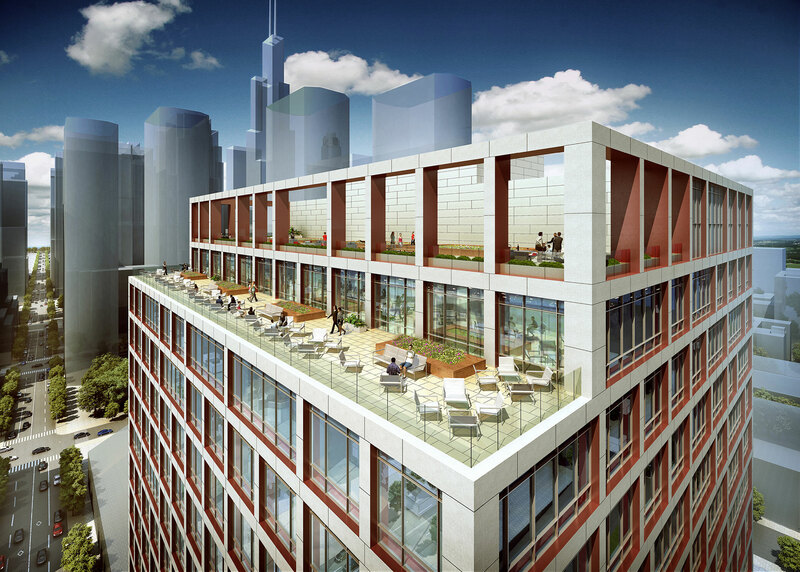 Outdoor terraces are located at strategic locations throughout the building, including the east and west sides of the office amenity level. The top office level has a private roof terrace, and the building’s roof has a public terrace accessible to all building occupants. 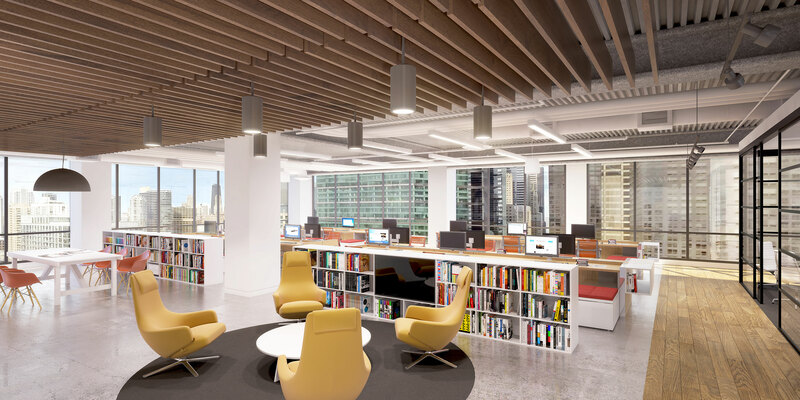 The typical office floor plate has been designed with lease spans that allow for maximum flexibility and efficiency in planning and construction. The floor plan is organized by a rational grid, which is also carried through to the façade expression. A modern composition of masonry with a punched expression, the façade references the historical brick architecture of the surrounding neighborhood. Its large expanses of glass maximize natural light.